2018-11-09 19:23After a week of suspension, the SFC issued a normal IPO approval. The amount of funds raised was not disclosed. 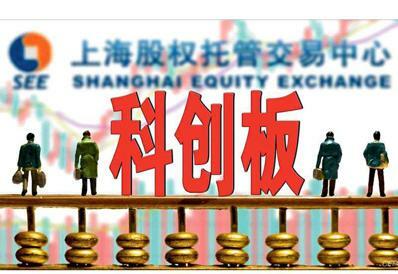 2018-10-26 19:55The China Securities Regulatory Commission issued two IPO approvals for enterprises. The total financing amount does not exceed 1.4 billion yuan. 2018-10-19 18:47The China Securities Regulatory Commission issued an IPO approval for a company today. The total financing amount does not exceed 500 million yuan. 2018-10-12 21:47The CSRC issued two IPO approvals for the enterprise. The total financing amount does not exceed 900 million yuan. 2018-09-28 21:29The number of shares raised by China A-shares has shrunk dramatically. The number of A-shares issued has not exceeded 2.3 billion shares. 2018-09-28 19:33The China Securities Regulatory Commission issued the IPO approval of PICC today. The amount of funds raised was not disclosed. 2018-09-21 19:31The China Securities Regulatory Commission issued an IPO approval for a company. The total amount of financing is not more than 600 million. 2018-09-07 19:46The China Securities Regulatory Commission issued Tianfeng Securities and Mindray Medical Approval. It is planned to raise no more than 6.9 billion yuan. 2018-08-31 20:30The China Securities Regulatory Commission issued IPO approvals for three companies. The total amount of funds raised does not exceed 1.4 billion yuan. 2018-08-24 19:43The China Securities Regulatory Commission issued two IPO approvals today. The proposed fundraising will not exceed 4 billion yuan. 2018-08-17 20:08The China Securities Regulatory Commission issued two IPO approvals for the company. It plans to raise no more than 1 billion yuan. 2018-08-07 16:35IPO review meeting today "three over two"
2018-08-06 15:38The first brand of bottled water, Nongfu Spring, plans to build an A-share IPO with annual revenue of 16 billion. 2018-08-03 17:04The China Securities Regulatory Commission issued two IPO approvals for the company. 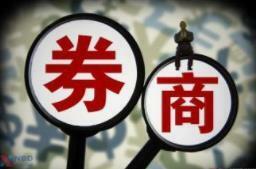 It plans to raise no more than 1.7 billion yuan. 2018-07-27 19:25The China Securities Regulatory Commission issued an IPO approval letter from Zhengzhou Bank. 2018-07-20 21:32The China Securities Regulatory Commission issued an IPO approval for one enterprise. The amount of funds raised was not disclosed. 2018-07-17 21:18IPO control rhythm Today's "five times three"
2018-07-13 19:09The China Securities Regulatory Commission issued two IPO approvals for the company. It plans to raise no more than 1.1 billion yuan. 2018-07-10 18:01Five of the five proposed IPO companies have a meeting and another farmer's bank cancels the application. 2018-07-06 17:45The China Securities Regulatory Commission issued an IPO approval for one company. The amount of funds raised was not disclosed. 2018-06-29 19:28The China Securities Regulatory Commission issued an IPO: Changfei Optical Fiber was approved, and the amount of funds raised was not disclosed. Tips: You have not added any stock yet, you can enter the stock code and add it by clicking the "Add Custom" button below. Dear users, log in to the financial community website to save and view your list of stocks and get to know the stock market anytime, anywhere. Dear users, log in to the financial community website to save, view your list of stocks, and get to know the stock market anytime, anywhere.